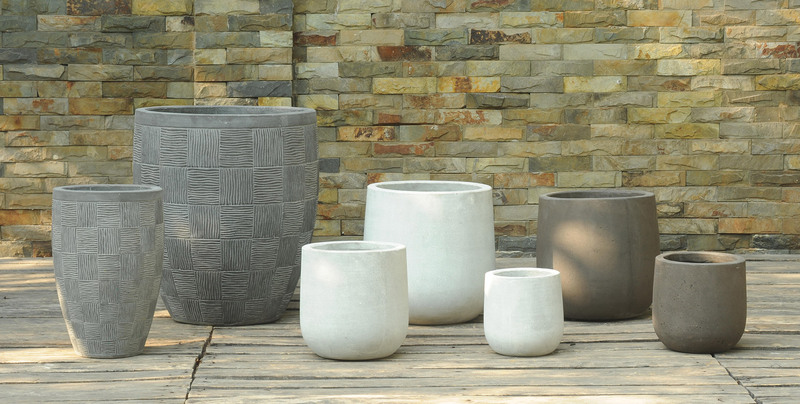 Pots made out of cement catch the eye trough their trendy appearence. They are crafted by hand from reinforced cement. Did you know that a French gardener named Joseph-Luis Lambot invented reinforced concrete in 1845 in order to craft a pot for orange trees?